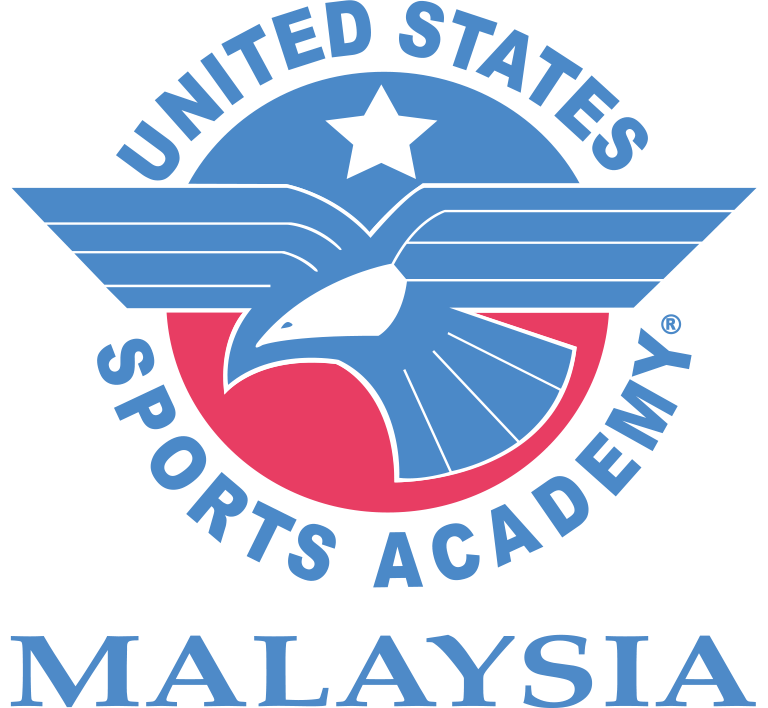 At USSA Malaysia we like data a lot. Data can help in making informed decisions and, in most cases, the more data we have the better jobs we can be doing. A few weeks ago I wrote an article about how data can help in sport development. This article will discuss peak height velocity and how coaches can use it to determine the best time to challenge a young athlete's aerobic energy system. 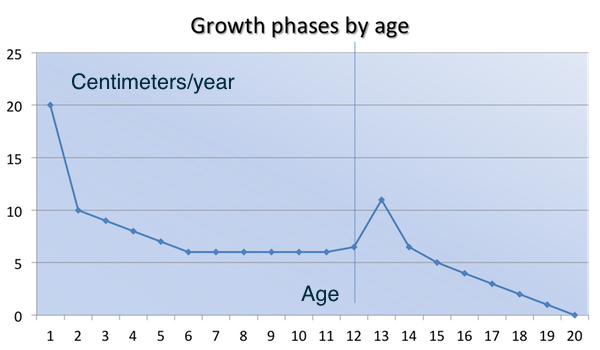 Peak height velocity (PHV) is a simple biometric measurement that helps to pinpoint when a child's growth spurt is taking place. Aside from the first year of life which is a normal human's fastest growth period with a rate of about 20 cm per year, PHV represents what is commonly called the "growth spurt" that usually occurs during adolescence. It is during this period that the child is growing as fast as he ever will. The chart illustrates growth rates over time. Human growth is not linear but does follow a somewhat predictable pattern. It starts out at a blazing fast rate immediately after birth and then levels off a bit until speeding up for a short time during adolescent and then levels off again before stopping completely shortly afterwards. By the late teens or early 20s most people have reached their full adult height, some children stop growing much earlier though. These obvious signs of physical growth also signal the maturation of certain body systems. During PHV the system that can be most affected by training is the aerobic energy system. Once PHV starts a window of 12 to 18 months opens where the cardiovascular system is most sensitive to accelerated training gains. So knowing when PHV starts can be a valuable bit of information that allows coaches to adjust training accordingly. The key is knowing when PHV begins and the only way to really determine this is through a regular schedule of measurement. By taking measurements of height, weight, and wingspan every four months growth patterns can be easily charted for each athlete. When PHV starts these patterns will change and the onset of PHV will be obvious. The critical measurement is height but wingspan is also a good indicator of growth. Weight is a secondary indicator because it can change for reasons unrelated to growth. When coaches notice that the measurements show a jump in height or wingspan over the previous 4-month period then it is safe to say that PHV has started. Naturally, aerobic training should be part of a youngsters training all the time. The point to understand about PHV is that it signals a period of growth where the body is more sensitive to training challenges and thus offers accelerated gains in aerobic capacity that wouldn't occur on either side of the PHV period, thus aerobic training done during PHV produces larger gains. Knowing when athletes are in their PHV period allows coaches to design training challenges that take advantage of these accelerated gains.